NBC was RCA’s broadcasting wing. 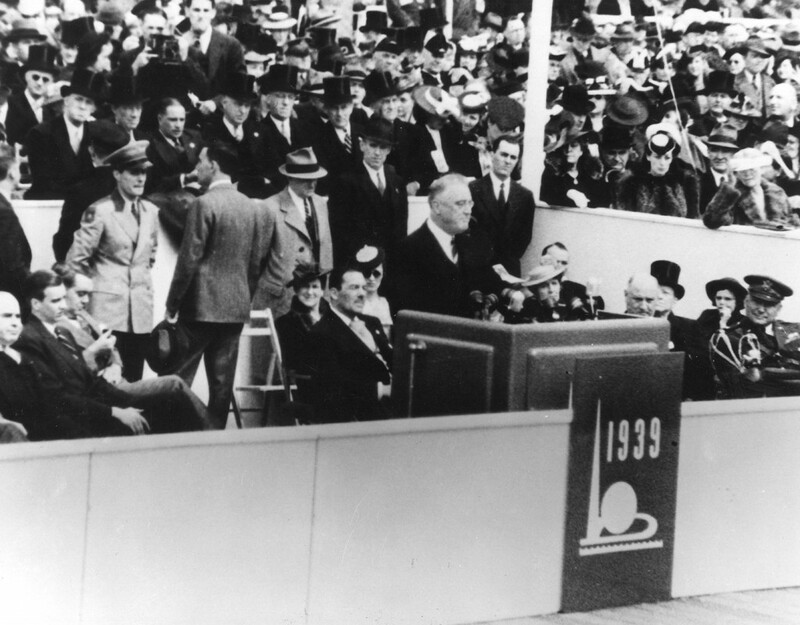 It began regular US television broadcasting on April 30, 1939 with an historic event: a telecast of President Franklin Delano Roosevelt opening the Fair. The event was the first televised Presidential address in the United States. The logistics of the broadcast were quite complex, especially considering the newness of the television broadcast industry. The signal was sent by Telemobile (RCA’s mobile television van) to the Empire State Building transmitter and then rebroadcast. David Sarnoff claimed FDR’s address was the first televised news event in the United States.